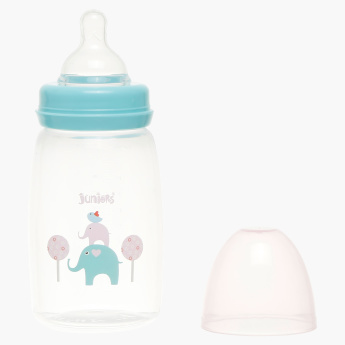 Juniors Printed Feeding Bottle - 300 ml | Pink | Carefully made with the highest safety standards. 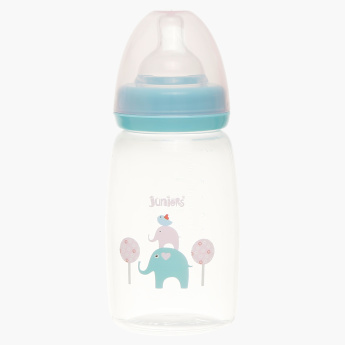 Accent your baby's collection with the help of this charming feeding bottle with an elephant print on it. It sports a durable make and is easy to grasp on owing to the ergonomic make. Feature 2 : Easy Grasp feeding bottle. Feature 1 : Carefully made with the highest safety standards. Feature 3 : Ideal for indoor and outdoor feeding with cap included.